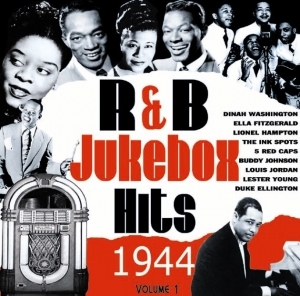 Our Jukebox hits series has rapidly become a trade mark for Acrobat and this release continues that tradition. 1944 was a year of excitement, turmoil and huge world changing events as the war finally turned in favour of the Allies. An optimism enveloped America and this was apparent in the lively music scene. This album features classic artists such as Duke Ellington, Cootie Williams, Nat King Cole, Ella Fitzgerald and Dinah Washington. There is a definite Blues feeling in the air, with plenty of Jazz to guide us through a track listing full of wonderful hits and memorable recordings which stand the test of time right up to today. An indication of how the music has endured comes with the massive, ?I Wonder? by Cecil Gant, a blues ballad of such simplicity that it topped the chart for months and is still being recorded by artists, including a memorable version by Aretha Franklin 25 years later.